I know what you’re doing right now. You’re on your laptop or your phone or your tablet, settling in and preparing to read another fresh-baked World Cup preview from the folks at Every Day Is Zlatan Day. But before you do that, there’s something I’d like you to do. I want you to go to Google Images, type “Costa Rica”, and hit “enter”. Aren’t those pictures beautiful?! Aren’t those waterfalls simply dazzling? Look at all the trees! Wouldn’t you just like to chill for eternity on one of those beaches? I certainly would. Now, close the window. Come back to this preview. Remember those images you had open not three minutes ago? Gorgeous, right? 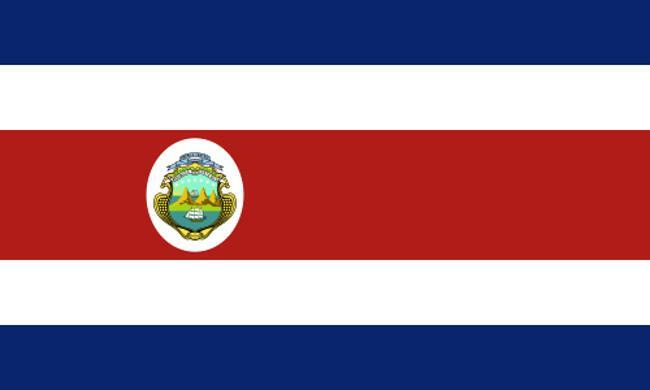 Keep those in mind when/if you watch the Costa Rican national team. It won’t be pretty. 2010 refresher: Costa Rica didn’t qualify in 2010. It lost a two-legged playoff tie 1-2 on aggregate to…Uruguay, who went on to a fourth-place finish in South Africa. This time around, Costa Rica finished second in the Hex, and at one point, it went 476 minutes without conceding. This summer marks just the fourth time Los Ticos have qualified for the World Cup; it advanced to the knockout phase in its maiden voyage of 1990, but failed to advance past the group stage in 2002 and 2006, finishing 31st out of 32 teams in the latter. Goalkeepers: Costa Rica’s best player is in net. Levante’s Keylor Navas kept 17 clean sheets in the 2013-14 La Liga season; only Thibaut Courtois kept more. No one in La Liga made more saves than Navas’ 141 over 37 fixtures. No one made more diving saves than Navas, who had 91 such saves. And no other qualified keeper in Spain made more saves per 90 minutes than Navas; he made, on average, 3.91 saves per 90 minutes. Levante finished 10th this term almost entirely because Navas was incredible, and Costa Rica’s hopes of a miracle in the group stage go through him. Defenders: I mentioned earlier that Los Ticos went 476 minutes without conceding during CONCACAF qualifying, which led to its having the best defensive record in the Hex. Of course, it helps to have Navas in goal and it helps to play CONCACAF sides, but goalkeeping heroics and opposition strength aside, the 476-minute streak was impressive. The latter, although somewhat known for a disastrous outing against San Jose Earthquakes last year, is actually a halfway-decent left-back. In 11 appearances for New York this season, Miller is averaging better than two interceptions and two tackles per contest, to go along with 1.6 clearances per. Let’s see…Johnny Acosta scored that goal that one time (I’m assuming you watched the first video linked in the preview), Júnior Díaz plays in the Bundesliga (where’s he’s been okay–better than four clearances per game last term), and Michael Umaña has a lot of caps. I’d feel a little better if Everton’s Bryan Oviedo hadn’t shattered his leg, but Costa Rica’s back line was made to look good by the goalkeeper behind it and was helped out by inferior competition (here’s looking at you, Jamaica). Balotelli, Cavani, Rooney (yes, he will score this year), and Suárez are not CONCACAF-quality players; they’re exponentially better. Good luck, Keylor. Midfielders: Here’s an uninspiring group. Celso Borges is the best of the bunch, and he has been pretty good over in Sweden the past two seasons, scoring 16 times in 53 league games. In fact, Borges leads this squad with 14 international goals. Michael Barrantes was really good three years ago, potting 17 goals in all comps for Aalesund of the Norwegian league. Diego Calvo has some versatility, as he can play on the wing, and Yeltsin Tejeda has a cool name…forget it, there’s nothing here after Borges. Forwards: Bryan Ruiz is the big name here. The captain of Los Ticos is currently on loan at PSV from recently-relegated Fulham. Once a prolific scorer at Twente (35 goals in 65 appearances there), Ruiz adjusted his game after the move to Craven Cottage. He’s a very good dribbler and passer from the right-wing, and contributes some on defence. Costa Rica will miss the punch Álvaro Saborío would have added; the Real Salt Lake sniper is ranked third on his country’s all-time scoring list with 32 tallies in 93 appearances. Saborío underwent surgery to repair a broken fifth metatarsal in his right foot yesterday. Manager: Jorge Luis Pinto has work to do. The 61 year-old Colombian did well to get Costa Rica into the World Cup for the first time since 2006 and for the just the fourth time in the country’s history, but his lads were drawn into a difficult group and aren’t very good to begin with. Pinto prefers a five-man back line, but he will bring a full-back up if he decides on an attack-minded approach. A healthy Saborío would make a 4-3-3 feasible, but instead, Pinto will consider easing Ruiz into the midfield (his game now is more suited for placement there anyway), therefore leaving Campbell as the lone striker. Outlook: Not good. It’s nearly impossible to see how Costa Rica don’t finish dead last in Group D, even if Navas plays his tail off in goal. The defence will get exposed by the world-class strikers in the group, the midfield is poor, and Saborío’s injury will lessen the attack’s effectiveness. But even then, Los Ticos won’t advance. Better luck next time.